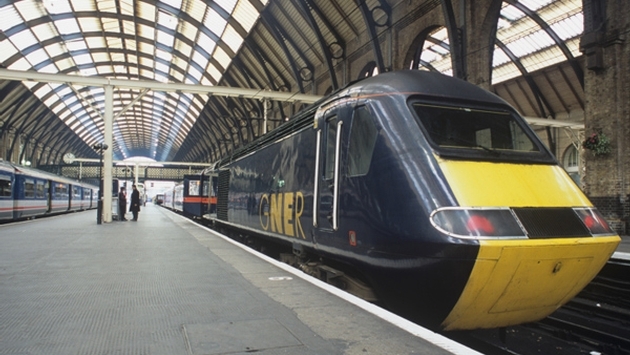 Traveling by rail in Britain provides travelers with all the advantages of European rail travel, including city-center-to-city-center connections without the security hassles that plague air travel these days. On top of that, rail travel spares adventurers the hassle of driving on the left side of the road in a country where people drive ridiculously fast. Instead of the stress of driving at high speeds in a system you’re not used to on roads you don’t know, you can relax and actually watch the countryside from the comfort of one of the modern carriages that British railroads operate these days. Britain’s National Rail system covers every region of the Sceptered Isle and gets the highest customer satisfaction ratings among railroads in Europe, according to a recent survey by the European Commission (EC). It seems British passengers rated their trains more highly than did their counterparts in the much more highly touted train systems of Germany, France and Italy. In the EC survey, 78 percent of British rail riders said they had an overall satisfaction with their experiences on their national railroad compared to 74 percent for France and Belgium, 51 percent for Germany and 39 percent for Italy. Maybe it’s time for American travelers to begin seeing Britain’s trains as more than just a convenient conveyance between London and Edinburgh. Trains in Britain cover all regions and offer different experiences: luxurious travel on the Royal Scotsman; innovative rail service on Virgin Trains’ West Coast line; and interesting journeys such as the North Yorkshire Railway’s route across the mysterious Yorkshire Moors. In short, British rail offerings are served by strong speedy trunk lines connecting cities as well as smaller lines that reach outlying villages. Orient Express’ Royal Scotsman is the flagship luxury tourism rail product in the U.K. The train travels all over Scotland on 10 journeys ranging in length from one to five nights. The train evokes the grandeur of Edwardian travel, using refurbished Pullman carriages, each 680 feet in length. Mahogany-paneling, brass fixtures and historic prints give the feel of a rolling society club. In the Observation Car guests recline on plush sofas and stately armchairs or stand in the open-air veranda to take in the scenery. The car features walls of windows, a bar and after-dinner entertainment. 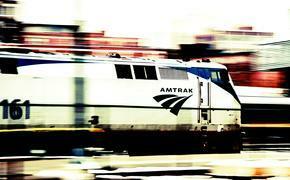 The 36-passenger train is configured to 14 twin, two double and four single State Cabins in the Sleeping Cars. All cabins feature a private bathroom with shower, washbasin and toilet, constant hot water, high-quality toiletries and fresh towels every day. In some ways, Virgin Trains is a glimpse of the future of European rail, with its easy electronic ticketing machines and its airline-like service and amenities. The time may not be far off when this train line will form a seamless feed into Virgin’s air service. Virgin has created something akin to a very fine business-class service on six different routes on the West Coast Rail Line from London to such destinations as Birmingham, Chester, Manchester, Liverpool, Edinburgh and Glasgow. Virgin’s First Class lounge at London’s Euston Station serves free hot and cold drinks, has Wi-Fi (as do the trains), desks for laptop use and more. Since they began running the West Coast Line, Virgin Trains have consistently won Britain’s National Passenger Survey carried out by rail watchdog Passenger Focus. Britain's National Rail network comprises 28 different companies such as Virgin Rail. A few of them are large railroads that run routes from London to stations all over Britain, and there’s a host of smaller companies with routes through various regions. Though the idea of so many rail companies sounds complicated, VisitBritain’s online planner makes it extremely simple to negotiate the system (simply follow the link and click on the Transport tab). All that a user has to do is type in departure place and time alongside the arrival place and in seconds the planner gives a complete itinerary along with several alternatives. With the online planner you can purchase tickets from any departure point to any destination on the National Rail network. Price depends on a variety of factors including time and date, how far ahead the ticket is booked, rail operator, distance and other variables. If you will be making several rail journeys while in Britain, it makes sense to purchase a BritRail Pass. BritRail was created by the many private railway companies that belong to the Association of Train Operating Companies (ATOC) in order to entice international travelers to visit Britain and explore its countryside by train. There are a few varieties of the BritRail pass and their value increases as more train rides are taken. BritRail passes are valid on all the privatized train companies that operate mainline services in Britain. That includes the Heathrow and Gatwick Express trains, so right off the bat your clients are saving money. BritRail Passes are available exclusively to overseas visitors and must be purchased in advance. They’re not available inside the U.K. If the client is planning many journeys and traveling long-distance around Britain, a BritRail Flexi Pass or a BritRail Consecutive Pass offers the best value for the money. The BritRail Consecutive Pass allows for set days of travel chosen by the passenger, while the BritRail Flexi Pass offers still more flexibility. For visitors to London who want to travel outside the city but stay in southeastern England, the London Plus Pass is the call. Valid for travel on two or four days during an eight-day period, or seven days out of 15, the pass offers passage to such destinations as Oxford, Brighton, Portsmouth, Bournemouth and Stratford-upon-Avon — all on a single ticket. The pass also includes return airport transfers for Gatwick, Heathrow and Stansted airports on the Express train services. BritRail’s Freedom of Scotland Travelpass includes the option to take multiple train trips on each travel day, while boarding any train on the National Rail Network in Scotland. It also allows users to keep an open schedule as they hop on and off trains en route to cities such as Edinburgh, Glasgow, Stirling, Aberdeen and Inverness. In addition, pass holders can travel on select ferry and coach services, such as Caledonian MacBrayne ferry services and select routes aboard Scottish Citylink buses. If for some reason you don’t care for a Britrail Pass, you can go online to the VisitBritain shop and purchase local transport, sightseeing, attraction, theater and tour tickets prior to traveling. The travel transport products available there include London Travelcard, Oyster card, as well as the BritRail pass (several options); and tickets for the Gatwick Express, the Heathrow Express and the Stansted Express. BritRail and Rail Europe also sell BritRail Passes and other tickets in the U.S.
INSIDER TIP: The Heathrow Express is the fastest way to get into central London from Heathrow. It departs every 15 minutes and takes just 15 minutes to reach London Paddington Station. The same journey by taxi would take about 1 hour, 15 minutes and cost four times as much. The Gatwick Express departs every 15 minutes and takes 30 minutes to reach London’s Victoria Station. The same journey by taxi would take about two hours and cost four times as much. Now there’s even a Stansted Express, departing every 15 minutes on a 46-minute journey, which by taxi would take at least 1.5 hours and cost at least four times as much. You can save £5 by booking in advance. There is now a £5 premium for customers who purchase their tickets on board. Editor's Note: A version of this article appeared in the February 2014 issue of Vacation Agent magazine.